A spectacular sight during STS-68 was the eruption of the Kliuchevskoi volcano on the Kamchatka Peninsula. The crew narrates post-flight movie. Scientists tell the story about a monstrous explosion, a hundred times more energetic than a typical supernova. Observations have been made by the Chandra spacecraft and ground telescopes. Spacewalking astronauts flying untethered from shuttle Discovery as they tested a new safety jetpack was a visual highlight of STS-64. Veteran space shuttle fliers Mike Coats, Steve Hawley and Jeff Hoffman are inducted into the Astronaut Hall of Fame at Kennedy Space Center during this ceremony held May 5. Fly with Alan Shepard during his historic journey into space with this documentary that takes the viewer along as an invisible companion to America's first astronaut. The Pluto-bound New Horizons spacecraft recently flew past the Jovian system for a gravity sling-shot toward the outer solar system. New images of Jupiter and its moons are revealed in this briefing. This stirring 1970s documentary narrated by Burgess Meredith pays tribute to the grand accomplishments of Apollo as men left Earth to explore the Moon and fulfill President Kennedy's challenge to the nation. This is a video report on the United States' space exploration efforts during 1958. These historic pioneering days included the launch of Explorer 1, the first American satellite to orbit Earth. The final and longest manned flight of Project Mercury was carried out by astronaut Gordon Cooper in May 1963. This film shows the voyage of Faith 7. ORLANDO - University of Central Florida Physics Professor Joseph Harrington and his team have measured the hottest planet ever at 3700 degrees Fahrenheit. 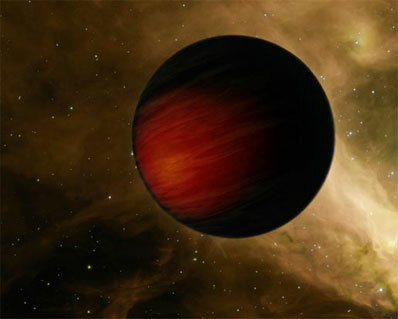 "HD 149026b is simply the most exotic, bizarre planet," Harrington said. "It's pretty small, really dense, and now we find that it's extremely hot." Using Spitzer, NASA's infrared space telescope, Harrington and his team observed the tiny planet disappear behind its star and reappear. Although the planet cannot be seen separately from the star, the dimming of the light that reached Spitzer told the scientists how much light the hot planet emits. From this they deduced the temperature on the side of the planet facing its star. The team's findings were published online in Nature today. Discovered in 2005, HD 149026b is a bit smaller than Saturn, making it the smallest extrasolar planet with a measured size. However, it is more massive than Saturn, and is suspected of having a core 70-90 times the mass of the entire Earth. It has more heavy elements (material other than hydrogen and helium) than exist in our whole solar system, outside the Sun. There are more than 230 extrasolar planets, but this is only the fourth of these to have its temperature measured directly. It is simple to explain the temperatures of the other three planets. However, for HD 149026b to reach 3700 degrees, it must absorb essentially all the starlight that reaches it. This means the surface must be blacker than charcoal, which is unprecedented for planets. The planet would also have to re-radiate all that energy in the infrared. "The high heat would make the planet glow slightly, so it would look like an ember in space, absorbing all incoming light but glowing a dull red," said Harrington. Drake Deming, of NASA's Goddard Space Flight Center in Greenbelt, MD, and a co-author of the Nature paper, thinks theorists are going to be scratching their heads over this one. "This planet is off the temperature scale that we expect for planets, so we don't really understand what's going on," Deming said. "There may be more big surprises in the future." Harrington's team on this project also included Statia Luszcz from the Center for Radiophysics and Space Research at Cornell University, who is now a graduate student at the University of California, Berkeley. Sara Seager, a theorist in the Departments of Earth, Atmospheric, and Planetary Sciences and of Physics at the Massachusetts Institute of Technology, and Jeremy Richardson, an observer from the Exoplanet and Stellar Astrophysics Laboratory at NASA Goddard, round out the team. Harrington is no stranger to significant findings. His research was published in Science magazine in October 2006 and in Nature in February 2007. In the first of those papers, Harrington's team used Spitzer to make the first measurement of day and night temperature variation on a different extrasolar planet. That research found that a Jupiter-like gas-giant planet circling very close to its sun is as hot as fire on one side, and potentially as cold as ice on the other, a condition that may also hold for HD 149026b. February's publication documented a landmark achievement. In a project led by Richardson, the group captured enough light from an exoplanet to spread it apart into a spectrum and find signatures of molecules in the planet's atmosphere -- a key step toward being able to detect life on alien worlds. Harrington's team fared well in this year's stiff competition for observing time on NASA's orbiting infrared facility. They will observe HD 149026b using all of Spitzer's instruments in the coming year, to gain a better understanding of the planet's atmosphere. Harrington is a professor in UCF's growing program in planetary sciences. NASA's Jet Propulsion Laboratory, Pasadena, Calif., manages the Spitzer Space Telescope mission for NASA's Science Mission Directorate, Washington. Science operations are conducted at the Spitzer Science Center, Pasadena, Calif. JPL is a division of California Institute for Technology, Pasadena.